Rental real estate will always be risky since landlords have no control over the kind of people interested in their property. Any landlord who’s been in the business long enough has had his share of tenant mishaps or at least know someone else who does. One of the most common tenancy issues is the mistake of renting property to bad tenants. While no tenant is ever perfect, you can avoid trouble by screening tenant applicants through a tenant application form. Tenancy laws vary significantly depending on the state but they’re all set with specific protection for both tenant and landlord. Tenants arguably have the advantage for these laws in most situations but there are still locations that offer a slight difference or more protection to landlords where you may be forced to put up with a problematic tenant for a certain time period. The application should request relevant information regarding a potential tenant’s current job and rental history to help you screen ideal tenants. State your questions in a language that doesn’t violate fair housing regulations and local landlord-tenant laws. If you have doubts as to the nature of the questions you prepared, ask a real estate lawyer. You need a section where you can state the method of payment or deposits that you require for other tenancy specifics such as pets, security and maintenance deposits. Remember that state laws could set limitations on the number of security deposits which is usually the first and last month’s rent added up together. Add a statement of certification towards the end of the application where the tenant commits that the information provided is true. While you may think that the application is complete and questions were answered well, it’s wiser to have a lawyer go over the form to make sure that your questions are in line with local tenancy laws. In finalizing the application for a lease make sure that the applicant as well ad the co-signer signs the form with the date indicated. It’s always good practice to print and provide the potential tenant with a copy of the submitted form for his or her reference of the agreement made at this point. If you want to avoid the mishaps that come with accepting the wrong tenants, make sure that you have the right paperwork. 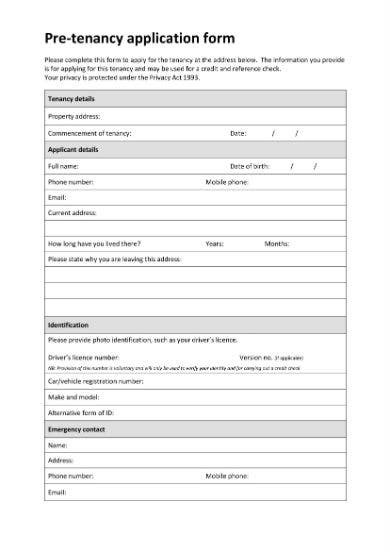 Download this rental application form template and let those who are interested fill out their information. Print in any or all versions of Google Docs, MS Word, Pages and PDF file. All set to begin accepting applicants for your rental property? 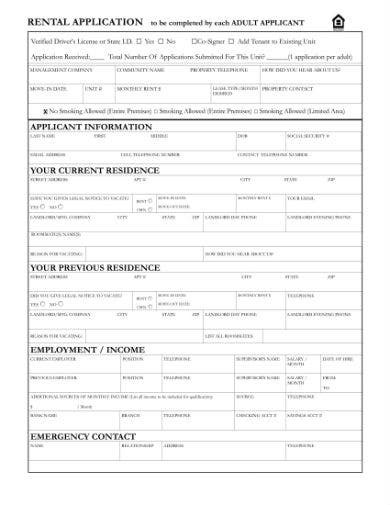 Hold your horses because you want to make sure you don’t get in trouble with tenants who have bad records with the law or previous landlords so get this rental application form template now! Edit and customize as you see fit. Do you want to avoid the risk of having troublesome tenants? 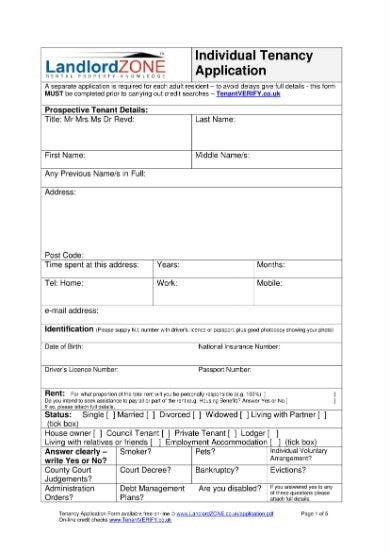 You’re in luck because this sample tenant application form is made just for you. Protect the value of your property by downloading this template in MS Word, Google Docs, Pages and PDF file formats. Being a landlord comes with the challenge of leasing to people who don’t commit to their responsibilities as tenants. 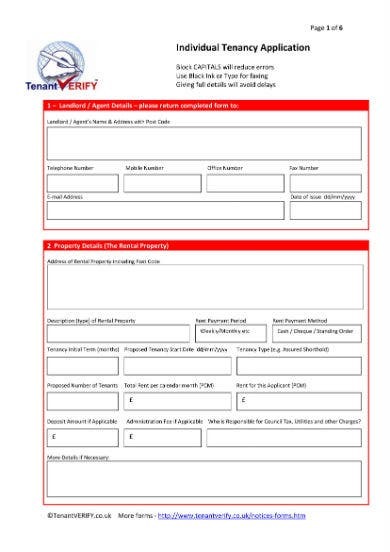 Screen your candidates well before getting them to sign a lease with this application for tenancy sample. Modify according to the needs of your tenancy terms and print anytime, anywhere! Secure a sufficient background check and tenancy history before accepting interested applicants to rent your property. 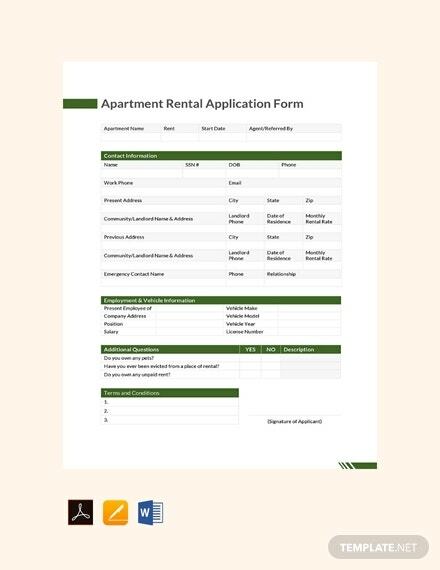 Make use of this sample application form to get what you want to find out from potential tenants. Get this professionally designed template and print in any compatible device. Want to rent or lease out your property to the right people? What are you waiting for? 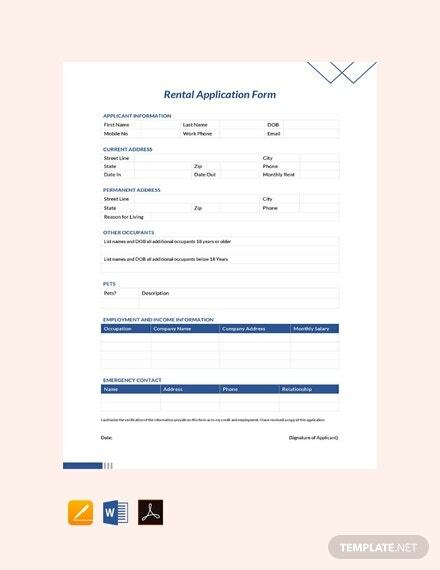 Download this simple rental application form template that comes with a flexible format and use it as a guide in drafting your own form. Edit and customize according to the details you want filled in, then print right away. No landlord will ever only have the perfect tenants the whole time he’s in the renting business but that doesn’t mean you can’t avoid issues with individuals who aren’t fit to be tenants. 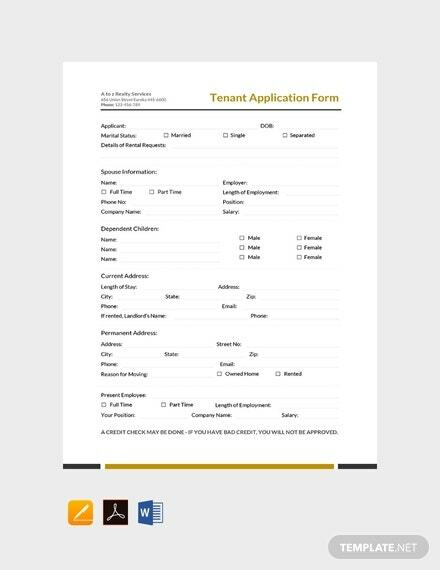 Download this tenancy application form template that sets proper guidelines and just modify the content of this template which is also made for easy printing!